Combining innovative design with exceptional heat output and durability, Milano have a deserved and growing reputation for producing radiators of outstanding quality, in both looks and performance. Adding to their ever-expanding collection of designer radiators, they are delighted to introduce the stylish Alpha vertical as the latest addition to their range. The Alpha radiator is a slimline, lightweight radiator different to any Milano has produced before. Featuring slim and sleek flat panels, it has an understated but stylish aesthetic which exudes luxury. 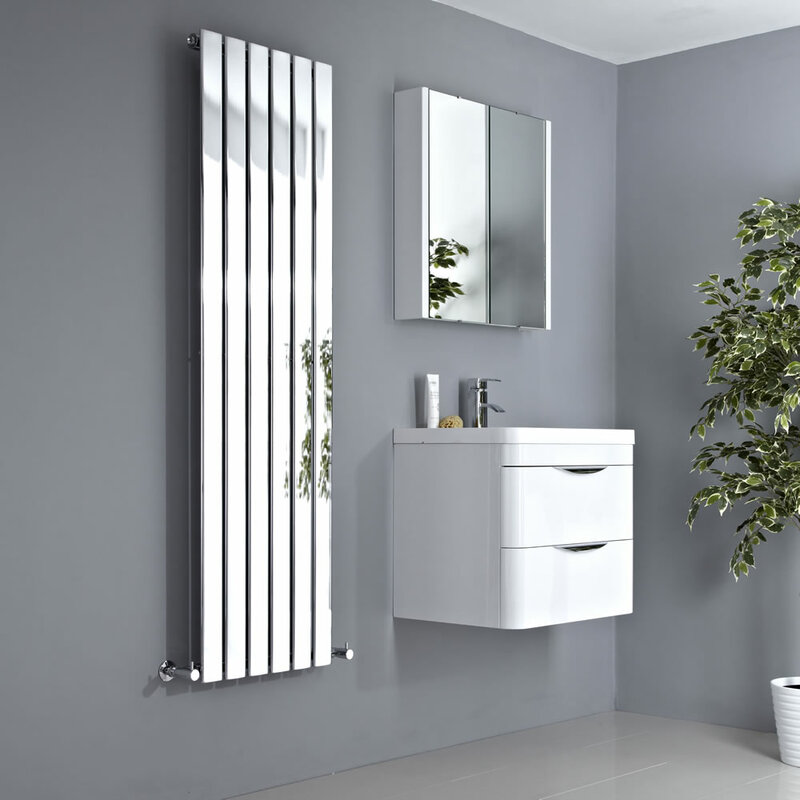 The contemporary design of the Alpha makes it an ideal addition to modern interiors, but the high-quality, mirror chrome finish ensures that this radiator shines in any setting. A vertical design makes the Alpha a practical heating choice too, as it allows the radiator to be easily fitted in parts of the home with limited wall space, or in smaller rooms. Milano have created the Alpha radiator in a variety of sizes to suit the requirements of any living space. It is available in three, four, five and six panel designs, with widths ranging from a slender 225mm, to a larger 450mm. Two height options of 1600mm and 1800mm are also available. The range features eight radiators in total, with every model offering impressive heat output. The highest-performing radiator in the collection achieves an hourly heat output of more than 2,000 BTUs. Milano radiators are available to buy exclusively from online retailers BestHeating.com, BigBathroomShop.com and Trueshopping.co.uk. The entire Milano collection can be viewed at MilanoHeating.com.